--Jean-Baptiste Chardin (aka Sir John Chardin), referring to the country of Georgia in his ten-volume The Travels of Sir John Chardin, published in 1786. I first sampled a Georgian wine about nine years ago though I've had the opportunity to taste many other Georgian wines during the last few years. Last year, four Georgian wines were on my Top Ten Wine lists, including the 2012 Jakeli Saperavi, 2013 Orgo Kisi, 2014 Orgo Rkatsiteli, and the 2013 Georgian Valleys Saperavi. You should also check out my prior article, Drink More Georgian Wine!, for additional background on Georgian wines and links to my other Georgian wine posts. As I previously wrote, "Georgia may be the oldest wine region in the world but it also has a bright future. We just need to educate more consumers about the reasons why they should be drinking Georgian wine." At the recent Boston Wine Expo, consumers had plenty of opportunity to taste and learn about Georgian wines as there were approximately 18 producers at the event. Georgia certainly made a concerted effort to raise their presence in the Boston area. Prior to the Expo, I had strongly recommended, in my post What You Should Taste, that consumers should check out the various tables of Georgian wine. I followed my own advice, expanding my experiences with Georgian wines, and sampled about 60 different wines. I found plenty of interest and will be reviewing my favorites in three additional posts this week. I also had the opportunity to speak with Giorgi Samanisvili, the head of the National Wine Agency of Georgia. Giorgi is an enologist and has worked in the Georgian wine industry for the past twenty years. In his current position, he is primarily responsible for two areas, quality control and the promotion of Georgian wine. Giorgi was personable and knowledgeable, and it was very clear that he loves wine. It was a pleasure to speak with him about Georgian wine. Where is the birthplace of wine? That is an issue of dispute, though there is some agreement that the region around the Caucasus Mountains is likely the site for the oldest known Vitis vinifera, the Eurasian wild grape vine. 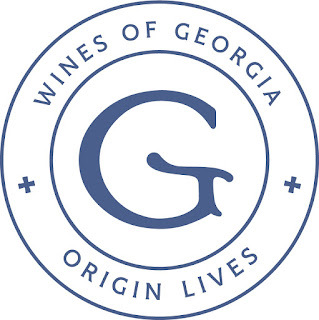 The country of Georgia is one of the primary claimants for being the birthplace of wine, based on some strong archaeological evidence. On a dig in Kvemo Kartli, in the Marneuli Valley of Georgia, a clay jar, with stylized designs of grape bunches, was found. Scientific analysis dated this clay jar to around 6000 BCE, and it was found to contain cultivated grape seeds. The jar is now displayed in the Georgian National Museum in Tbilisi. This is why Georgi stated that they often promote Georgian wine as possessing "8000 vintages of history." This great sense of history is a compelling reason to enjoy Georgian wine. You can enjoy grapes that have existed for thousands of years, and might have once been enjoyed by ancient Greeks and Romans. 98% of their grapes are indigenous, over 500 different types, and there isn't a huge push to plant international grapes in their vineyards. In the modern Georgian wine industry, there is a push by many producers to reach back to their historic past, to combine ancient traditions with new technology. Under Soviet control, the wine industry suffered, such as the loss of many medium-sized producers as well as a number of vineyards. That is changing now, with new vineyards being planted and medium-sized wineries starting to return. Giorgi stated that in many respects, the Georgian wine industry is at a beginning, a developing industry that is striving for its vinous future. A number of other wine regions have seen this same cycle, recovering after rough times, like South Africa and apartheid. From what I have seen, the Georgian wine industry seems poised to continue its upward momentum and its wines are more than worthy of your attention. In 2016, Georgia exported about 50 Million bottles of wine, about 38% more than they exported in 2015. Their top three export markets include Russia (which imports just over half of that amount), the Ukraine (which imports about 12%), and China (which imports about 10%), with Kazakhstan and Poland taking the next two spots. Exports to the U.S. are very low, only about 24,500 cases, though they increased by 19% in the past year and Giorgi is hopeful this year will also see double digit growth. Right now, the most important markets in the U.S. are Washington, D.C., New York City and Los Angeles. You might have difficulty finding Georgian wines in your market but you should ask your wine shops to carry some. "Although commercial production of wine is significant in Kakheti, almost every village family has its own specialty, made with grapes lovingly cared for and with an age-old method that includes seeds, skins, and stems with the juice as it ferments. Not only does it yield a full-bodied wine with a fine bouquet and hue, believed to be full of vitamins and good for the health, but is touted as a primary reason for the Georgians' longevity." Why should more Americans drink Georgian wine? 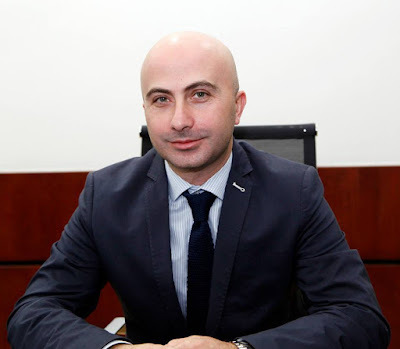 Giorgi believes that educated and open consumers can be convinced to try Georgian wines. They offer something different to consumers, a new experience for wine lovers. Georgia may be the oldest wine producing region in the world and that 8000 years of experience is compelling. In addition, with over 500 indigenous grapes, you can find so much diversity in their wines. Combine that with all of the Georgian wine traditions and techniques, such as the famed qvevri, and the story of their wine is fascinating. 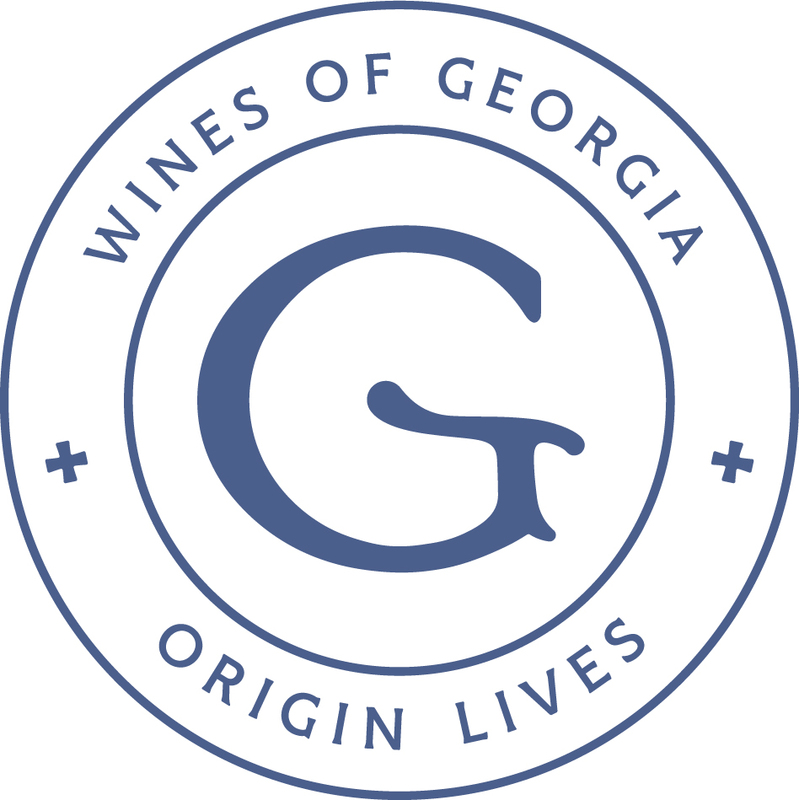 The more I learn about Georgia, the more I understand how integral wine is to their history, culture, community and everyday lives. Throughout history, many Georgians made their own wine at home, and numerous Georgians still do so. They helped to preserve grape vines when the Soviets seized control and tore up many vineyards. Giorgi told me that Georgians "care about wine always," as wine is viewed as non-confrontational, and is often seen as more important than politics. Wine unifies rather than divides. It brings together family, friends, and strangers. And in these divisive times in our country, we should embrace something which might help unify us. At Georgian supras, their legendary feasts, they drink plenty of wine, often toasting throughout the evening. Such toasting is always positive, contributing to the belief than wine unifies rather than divides. Though they might drink plenty of wine, it is done over a lengthy period of time, so they can avoid drunkenness. In addition, Georgians always drink wine with food, helping to absorb the alcohol and hinder intoxication. What most touched me though during my conversation was when Giorgi said, "We drink wine to share emotion." Such a simple but compelling concept, indicative of the importance of wine to Georgian society. It is truly the glue that binds the people together, that helps to form closer bonds with each other. Rather than hide their emotions, they want to share them with others, using wine as a means to do so. They don't use wine as a means to intoxication. We could take a lesson from the Georgians and rethink our views on wine, and try to make wine more about sharing our emotions with others. I strongly encourage you to explore Georgian wines, to learn more about their fascinating history, and to emulate the Georgian outlook on wine.